Close the gap between what you believe spiritually, and how you actually live your life. Grace is the key to ending unnecessary struggle. 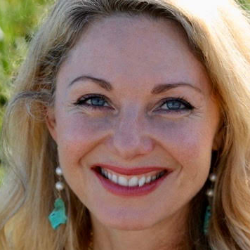 Author and spiritual teacher, Miranda Macpherson will introduce you to the four dimensions of grace, and how they help your spiritual life, through the transmission and practice of ego relaxation. Discover how to welcome all parts of your experience. Respond with compassion and wisdom in a world that needs your unique gifts. 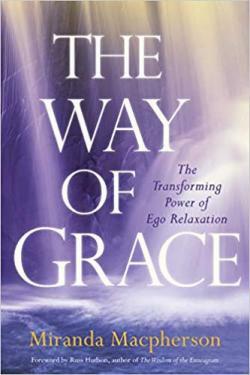 Mirandawas compelled to bring this feminine approach to spiritual surrender and non-dual realization and is author of The Way of Grace: The Transforming Power of Ego Relaxation. Known for her depth of presence and gift for guiding others into direct experience of the Sacred, Miranda founded of OneSpirit Interfaith Foundation in London, where she trained and ordained over 600 ministers. Today she leads the Living Grace Sangha in Northern California and holds retreats internationally. Learn more.